The lowly saltine is coming up in the world. Saltines make great substitutes for breadcrumbs. They crush easily and I think are tastier. They make a great crust on baked chicken or fish. Saltines are often added to meatloaf or meatball recipes in place of breadcrumbs. One of my favorite hors d’oeuvres is a saltine with a piece of melted cheddar cheese with bacon crumbled on top. Spread saltines on a baking pan, put a slice of cheddar cheese on each one and run it under the broiler until cheese is just melted. Top with crumbled bacon and serve. Another version of this is to spread your favorite peanut butter on saltines and top with crumbled bacon and serve. Delicious and so quick and easy! 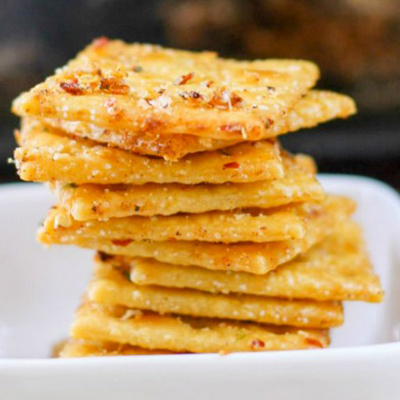 Real Simple provides this recipe for Spicy Parmesan Crackers – Combine ¼ cup olive oil, 2T of grated Parmesan, ¾ tsp. paprika and ¼ tsp. cayenne. Toss with 36 saltines in a covered container until well coated. Bake on a parchment paper-lined rimmed baking sheet at 300°F for 10 minutes. Serve. Mix all ingredients, store in container until ready to use. Add a layer of whole saltines. Bring 1 cup of brown sugar and 1 cup of butter to a boil. Continue boiling and stirring for about 4 minutes over medium heat. Pour that mixture over the saltines and using the back of wooden spoon, spread so it covers all saltines. Bake for about 4 – 8 minutes. It should bubble. Remove from oven and flatten any saltines that came out of position. Immediately spread a bag of chocolate chips (I use dark!) over and use back of spoon to smooth over as they melt. Adding chopped pecans on top of the chocolate makes a nice presentation. These are beyond delicious!! Line a 15x10x1-inch baking sheet with parchment paper or silicone liner. Lay Club crackers in a single layer to cover the bottom of the pan. Set aside. In a small saucepan over medium-high heat, melt butter. Add in sugar and bring to a rolling boil, stirring constantly. Once boiling, add ¼ cup peanut butter and stir until smooth. Pour over crackers. Place in oven on middle rack and cook for 10 minutes. 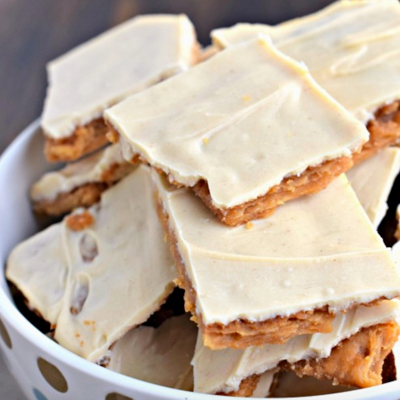 In a small, microwave safe bowl, combine white chocolate chips with peanut butter. Microwave for one minute, stir until smooth. If not completely melted, heat for 15- second intervals, stirring each time to test for smoothness. Pour over slightly cooled (they can still be a little warm) toffee. Cool completely (I put it in the refrigerator to speed set the toffee). 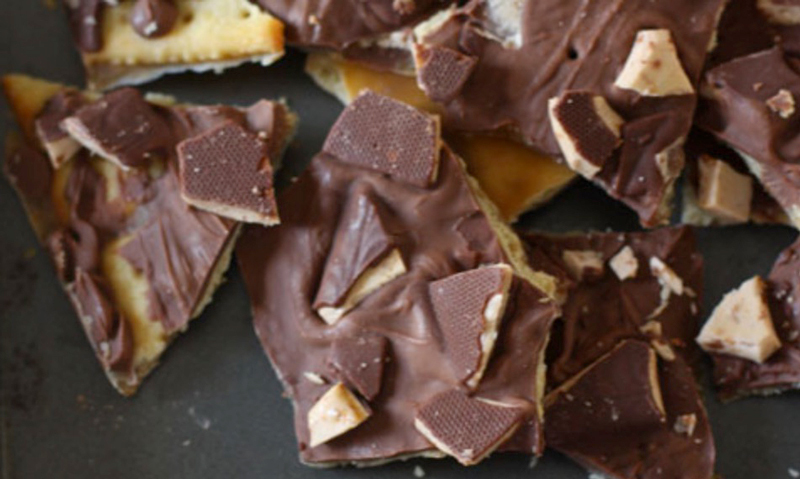 Once cooled, cut into bite sized pieces and enjoy. Store in airtight container. Scoop your ice cream into a baking dish lined with plastic wrap and press it flat into about a ½ inch layer. Then re-freeze the ice cream in that layer. 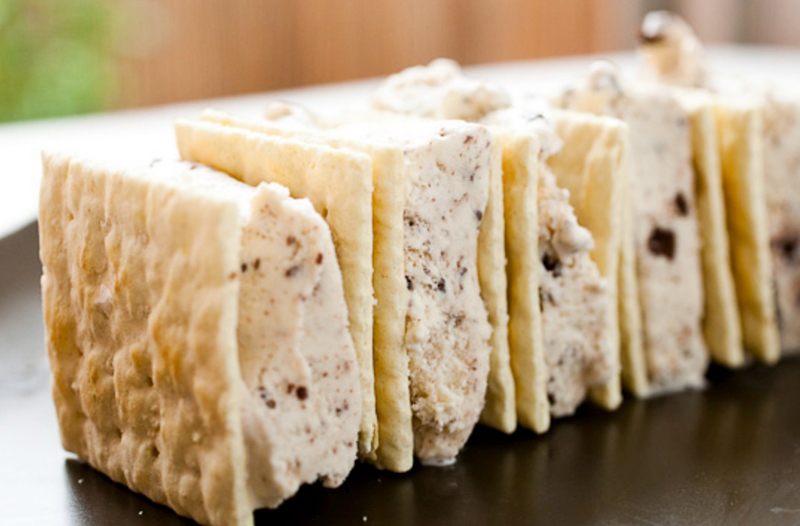 Once ice cream is frozen slice it into squares to fit the saltine crackers. Once made, the sandwiches can be stored in the freezer indefinitely, but they won’t last long! A good flavor ice cream to use is Cookies & Cream, but I’d try any flavor. Fun Fact: Saltines are made by Nabisco. They lost the trademarked name because it became too generic. It is a crispy, thin square cracker that is not leavened and is salted. My mother used saltines in place of flour to make gravy. She whirled them up in a blender with water (sorry I don’t remember the proportions) and added the mix to pan drippings.